We Focus on YOUR Benefit! 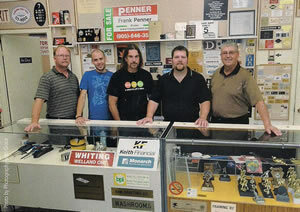 McGee Marking Devices has been serving all Southern Ontario’s sign and promotional item needs for over four decades. 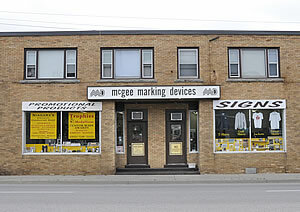 Established in 1963, McGee Marking Devices is well-known in the community for providing a complete line of marking devices including indoor and outdoor signs, awards and trophies, engraving, silk screening and decals, vinyl graphics, rubber stamps and promotional items. Recognized by the Greater Niagara Chamber of Commerce for 45 years of service to Niagara, McGee Marking Devices’ commitment to our community and our customers will always remain strong. Contact us today to have us help you with your marking needs or visit our website for more details about our services.